This may be a common sight to those who have frequent ice storms, but I’d never seen anything like it before and was enchanted. As I walked from the car toward the post office, I was preoccupied with the hope I could get packages mailed in time for Christmas. 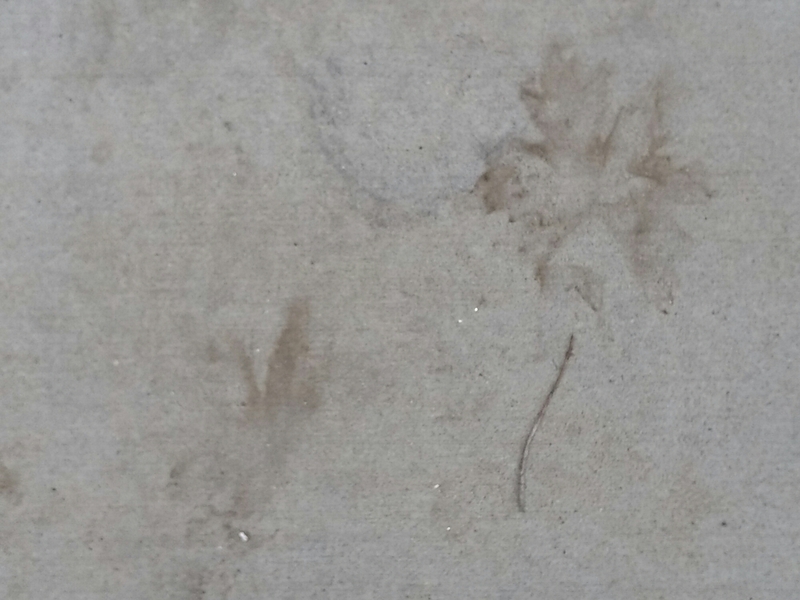 Then I glanced down and saw what looked like wet footprints on the sidewalk. 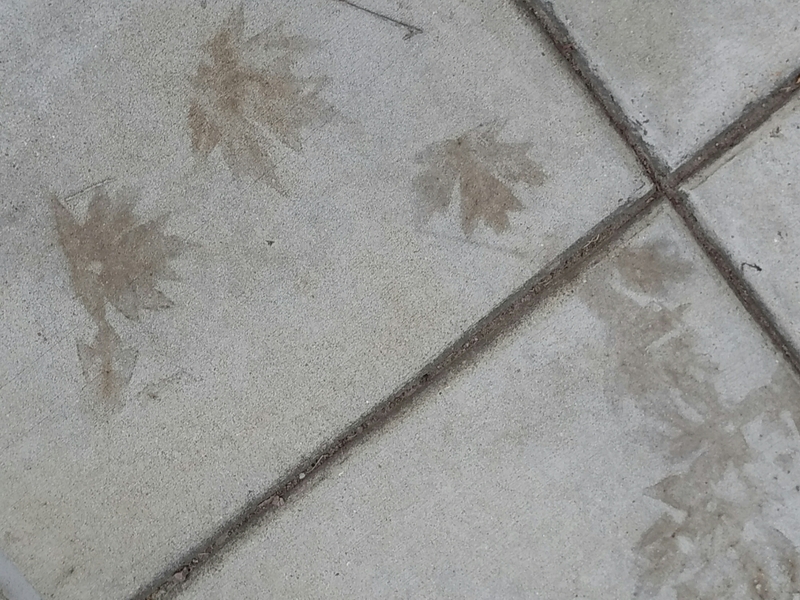 It took a couple of seconds for my brain to register the fact that the footprints were actually leaf prints. I have no clue how these images were formed. 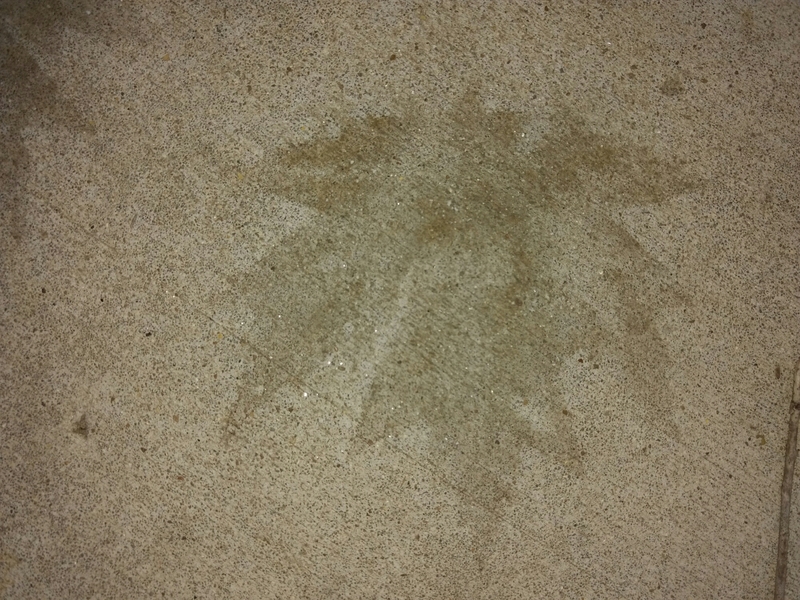 Just that it has something to do with fallen leaves and the ice storm/wintry mix that hit overnight this past weekend. They remind me of fossils left behind in rocks by time. Some, like the one above, look posed. A sort of flat, delicately detailed still life set in place by nature. It almost looks like a semi-abstract watercolor. Statement pieces. Single subject studies. This one’s images are placed like a delicate pattern for fabric. 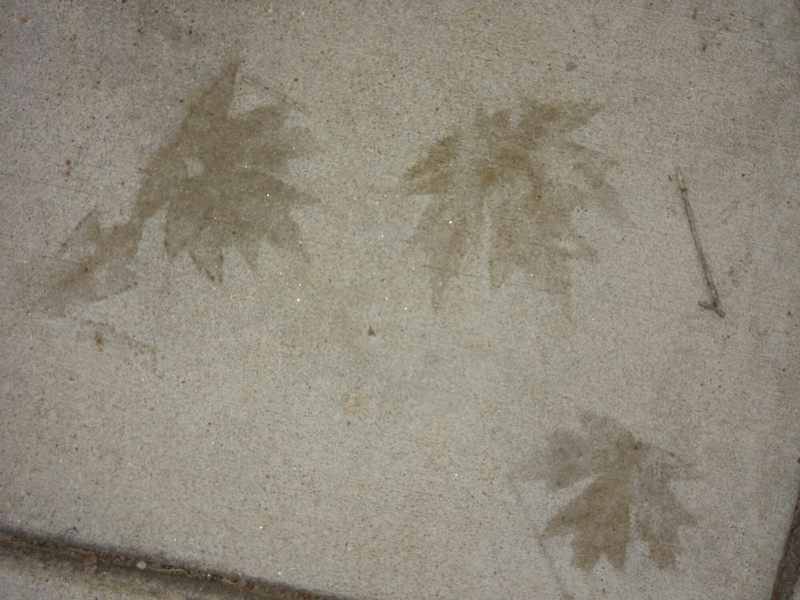 Like a batik, laid out and fashioned by artistic icy fingers. 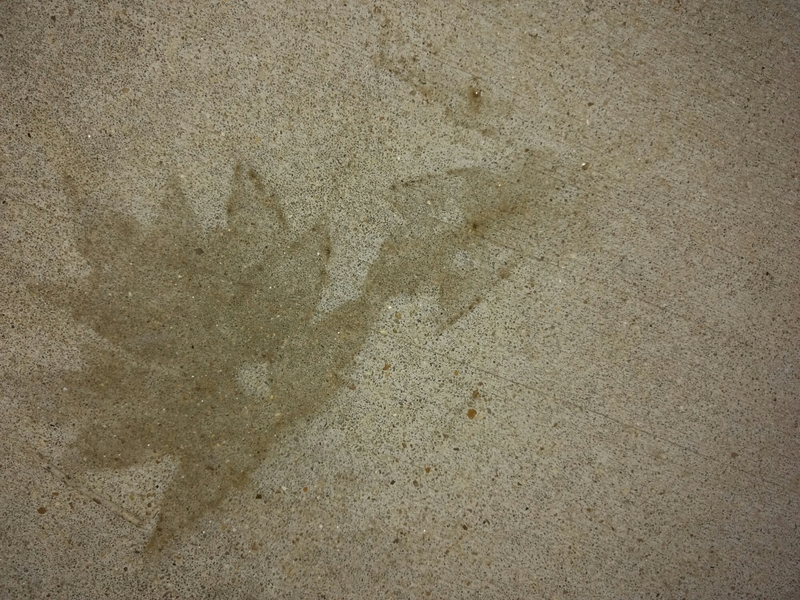 Does anyone know how a combination of freezing rain and fallen leaves can etch such amazing and beautiful images on a sidewalk? I’d love to know. It was quite a treat to discover such an example of nature’s art in the aftermath of a winter storm.